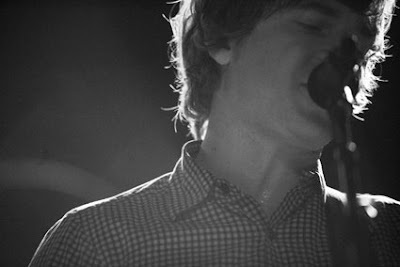 Sitting in the intimate Swedish American recital hall with a few hundred strangers on a recent rainy Saturday night, Nada Surf cast a spell. Almost akin to stepping inside a little jewel box for a few hours, these three guys out of Brooklyn worked through much of the material on their wonderful new album Lucky, as well as some gems from their back catalog that soared and reverberated in this acoustic setting. The Swedish is a community hall in San Francisco with dark carved woodwork everywhere, not your typical nightclub. The stage was dim and warm with only a reddish glow illuminating the trio; Matthew Caws on acoustic guitar and vocals, Daniel Lorca hiding behind the amp stacks on his bass (from my perspective), the impressively moustachioed and good-natured drummer Ira Elliot sitting happily on his cajon, hammering out the rhythms with his palms and fingertips. My friend who was at the show with me wrote about the intimacy of the set in his review, how "there wasn't a person in the room that didn't know every little bit of the songs they played" and he's right -- the intense level of fandom in this very sold-out show was impressive. We hushed when we needed to hush and enjoy the songs, we yelled along when Caws said to (even though he warned the parents of infants in the room before he encouraged us to sing along). It was a night of melancholic catharsis snugly interlaced with their gorgeous melodies and harmonies. The arrangements of their new material in the acoustic setting really shone, and when they kicked into those chiming, golden opening notes of "Blonde on Blonde" during the encore? Forget about it. I was in love. Before the show, my friend Brian and I got to sit down with lead singer Matthews Caws and discuss a bit about the new album's old roots, the artistic inspiration, and how hip-hop informed the new disc in surprising ways. Caws was a delight to talk to -- someone who feels the music like I do, which always seems like kismet to discover. FUEL/FRIENDS: Congratulations on the new album, it’s really a great record. You guys recorded it all in Seattle right? MATTHEW CAWS: Yeah, actually this is the first time we had someone to record, mix and produce it. On other records we’ve had a producer and an engineer, so this time just having one guy was really great. We’ve been asked a lot the classic questions ‘What direction did you guys have in mind’ with this album and ‘what makes this record different than the last record’ etc., and . 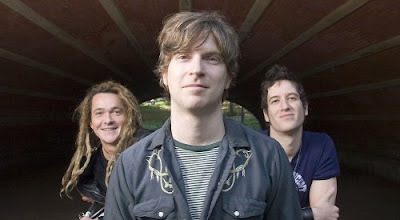 . . we actually had no direction in mind besides wanting John Goodmanson [Rogue Wave, Pavement, Death Cab, Soundgarden, Harvey Danger] to do it. And that is kind of its own direction because we knew it would sound . . . rich. He mixed “What is Your Secret” and “Do It Again” on the last record which are my two favorite mixes so he was kind of an obvious choice. And I don’t know if this album’s process was any different, besides possibly being more focused. At least we tried to be more focused! So The Weight Is A Gift was recorded in Seattle and San Francisco, Lucky solely in Seattle -- do you guys write in the studio, or back at your homes and rehearsal space in New York and then take it to the West Coast? Most of the writing is done in my apartment and then I bring it in. I finish a lot of songs in the studio. I find that I can never write in the practice space. I’ve found that I need to have total peace and be at home, or have total pressure and be in the studio with the clock ticking. With the producer looming over you to finish lines. Yeah, but actually John was the first one I could actually have there because he was so accepting and calm that I could be working on a verse and just ask him to work on something else for a bit while I got it ready to show him, which is something I had never done with anyone before. We would go through and he would say “yeah yeah, that line's cool, that line's bad,” and I found it really valuable to have someone you trust that much. You described John’s work as always sounding ‘rich’, and to me a really good example on the new album would be “I Like What You Say,” because the song now really does sound ‘richer’ than the one previously released on the John Tucker Must Die soundtrack. Oh I’m glad! Some people seem to like the original better, but I’m not so sure I’d agree. I would agree with you though, and credit John for being so good at that. “Beautiful Beat” is also a good example -- when we were listening back he would say ‘You know, that’s a really tall mix’, and I feel like the songs really have some space to them. It’s interesting to find one person to see the record through the whole process. Has the band ever tried to produce a record all by yourselves, and really maintain your vision over the entire process? Well, Let Go was kinda me. Because the engineer wasn’t really producing and a friend of ours Fred Maher was supposed to produce but we didn’t have a lot of money, and he was really broke and wound up getting a job auto tuning the bass on the Korn record at the time. And we would always see him totally despondent on the couch because it would be like trying to tune a motorboat, you know [makes a motorboat noise]. I heard a great rock n’ roll ethics story that you paid for the recording of Let Go with 1’s and 5 dollar bills. Yeah, it was all t-shirt money. It looked like a lot when all stacked up, but it really wasn’t that much money.
. . . And I remember reading a clip in the back of Rolling Stone that said Let Go was “the indie Pet Sounds”, so thank God for the t-shirt fund, right? Wow, I never heard that. Really? That’s really nice of them. So tell us a little about the songwriting process on Lucky. These days I have a very chaotic songwriting process. I hesitate to even call it a process. It’s a mostly dubious adventure, because I write lots of little pieces of songs and not whole ones so there are lots and lots of tapes littered about that I haven’t listened back to in years. And so for this record I decided I was going to go through each and every one and do my homework to find what was on them. What came out of that process? Any stuff that made the record? [gets excited, interrupts] --By any chance was one resurrected bit the “Behind every desire, is another one / Waiting to be liberated, when the first one’s sated” (from Weightless)? That song shifts so much, that whole segment feels like it might have dropped in wonderfully from somewhere else. That is actually the oldest thing on the record! You’re totally right. I remembered that line, but I could never find the melody. I knew it was somewhere on one of those cassettes, but the problem with all those tapes is most of it’s awful snippets of me in the middle of the day thinking I’ve got something when I really don’t. Are there any other places on the new record where older material resurfaced? Yeah, just things like . . . in See These Bones where it goes [sings] “Do you remember when the light was low? do you remember when it fell?” That melody was maybe five years old, just lying around. That must be exciting and gratifying to find a home for an idea that had been percolating for so long, and have it fit so perfectly. Totally. I guess the biggest change in the band for at least these last two records is that I am much more open to that kind of juxtaposition. Daniel [Lorca, bass] and I used to try that more on the first record because he used to write more so we would smush parts of songs we both had and make one whole song and it work which was always exciting to us. But I had never really been in the habit of seeking that out, until these last two records. On “Do It Again” the end section has this really different type of melody which was a separate section added on. 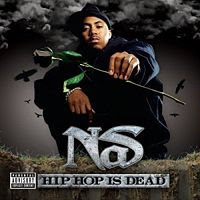 It actually was because I was listening to so much hip-hop at the time, stuff like Nas. What I feel like I really got from that was how in a rap song every verse can be completely different -- different point of view, different narrator, different feeling and sometimes obviously different people/voices -- mainly how the atmosphere would change. I really like people like Nas who focus on storytelling. It’s funny that you say hip-hop was an influence on this album, especially hip-hop that has different voices on each verse, because I noticed in John’s credits that he’s also worked with the Wu Tang Clan. Oh yeah, that’s right! [laughs] But don’t forget he also worked with Hanson. Very much so. I think that [the hip-hop storytelling element] freed me up for songs on this record like “Are You Lightning?” That song was recorded for the last record, but the whole end section that starts “I see you in my sheets, I see you in my sleep” -- that whole bit was new. The song had been done for five years, words and melody, and the end was just going to be this three-minute fade out. But since the song was asking the question ‘Are you the person I want to be with’ and not really knowing who that person is and getting to the point of being tired of looking, that by the time we were making this record I was in a very serious relationship so I felt like I had the answer, meaning that there was still stuff to sing about. Right, exactly. And the fact that it was a whole different melody for the new part was really something that excited me then and now. It was funny because a song would be unfinished, or actually they would be done, but wouldn’t feel that they were good enough. “The Fox” and “See These Bones” were both recorded for The Weight Is A Gift, but weren’t right at the time. And I would add melodies, which might have frustrated some, because there were no words and I was adding these things that were making the song feel completely different. But luckily open minds prevailed and we were accepting of the new parts. One lyric from Lightning - “Just look at the size of you” is so unique and interesting, do you have anything to say about that or would you just like to leave it as it is? . . . Is it about the way one person can eclipse everything else? Yes exactly -- the amount of room one person can take up in your brain. I’ve always thought about describing lyrics and how it can be defensive, but it would be silly for me to hide behind such a simple metaphor. On the last album, “Your Legs Grow” has such beautiful, yet elusive lyric, and I’ve always wanted to ask, what made you write that song and what does that song mean to you? What I meant was . . . contemplate if you’re in a relationship and it’s ending. One spends so much of one’s time thinking that would kill you, or that you would just be lost. It could be whatever, a break up, disaster….I haven’t been through a lot of family death and I know it’s coming to everyone. So if something happens that you feel you won’t be able to get through, it can be sometimes comforting to remind yourself that you do get through it. Like if you were out to sea and drowning, or you walked out to sea and it became too deep, I think the way our minds work is that our legs grow to the bottom of the ocean, and then we walk out. It’s really just a song about the ability to recover. It’s kind of magic realism because obviously our legs aren’t going to grow, but we do become strong in ways that would seem impossible at other times. Yeah, I think sometimes --to use your phrase-- that “magic realism” is exactly what people want and need from music, with all the stuff that people are supposed to handle in this world. Just to take a concept like that, and place it inside a metaphor, and deliver it in a song - that really seems to be a consistent thread through your band’s body of work. A frustration I have a lot of the time with life in general is that it’s hard to hold on and remember how magical it can feel. And that’s kind of what the album title is about. Because it’s not necessarily that I feel lucky, it’s that I want to remember that I am. I wish I could turn that on at will because we get so caught up in whatever particular stories are happening with work, love, family, work, or whatever that just being alive and healthy on a planet that might be going down the tubes is totally fascinating. Still we can get caught in the cobwebs of everyday problems and forget how amazing and incredible life is. 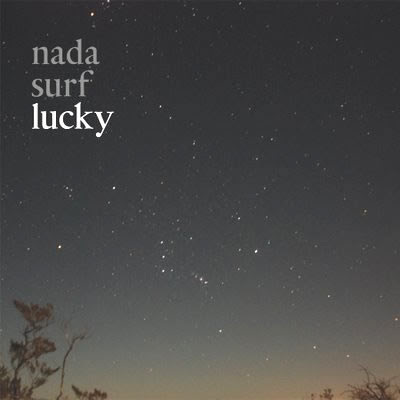 The album cover seems very appropriate for the feel of the record, just the weight one can sense when lying down and looking at the sky, yet to still feel lucky and blessed to look around you. Don’t people say that water at night is the perfect visual representation of the subconscious? And that’s why people are so drawn to it, just staring at it? With the cover I was also thinking about how trees and sky and stars are such extraordinary things…and they’re free. On another corny level, how lucky we are just to have them. There is a great story about Yoko Ono before she was successful, she was broke and living in Greenwich Village and to make money she put up a poster that said ‘meet me at 5am tomorrow, bring a towel and five dollars, and you will see the most amazing show on Earth. If you don’t agree, there's a money back guarantee.’ So some people met her, and she brought them up to the roof of her tenement building and they all sat down on their towels and watched the sun come up. And you know what? Nobody asked for their money back. 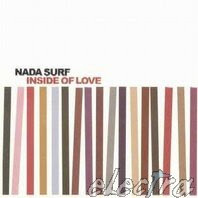 We were going to post some Nada Surf b-sides but then we found this (free registration required), and now there is absolutely no use for anything else that we could add. Rad. VIDEO I TOOK: "WHOSE AUTHORITY"
sickass. love these guys. thanks! AWESOME! JUST AWESOME! What a great set, too boot! Ending with "Blankest Year?" PHEW. Great interview, great post, great band, just... great (my thesaurus is missing). now i even got the "your legs grow" metaphor (although he was asked about it before... never mentioned that term "magic realism" though, or not that i know anyways)... that's so cool. I hope that link works. If not, I'm Saralicious! on your friends list. Anyway, it was really memorable, and they were in costume, Matthew was Luke Skywalker and they even had an R2D2 on stage. Love those guys. They really were quite generous in the time they spent indulging their fans after the show. great interview! thanks a lot, heather! 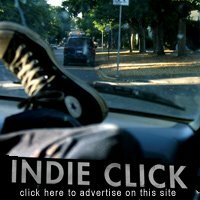 I wrote the preview for that show in the S.F. Weekly. Awesome. 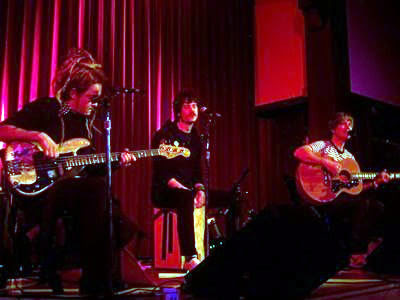 The Acoustic show wasn´t in Hamburg. The show was in Halle (Saale), Germany. And the date was 16th January 2008.
great interview. 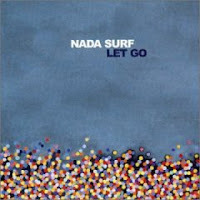 Nada Surf has been one of my fav's for a loooooong time. 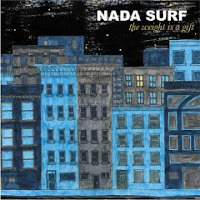 i totally love nada surf and have never had the pleasure of seeing them play live. GREAT INTERVIEW!! !